Two weeks ago the track listing for Gucci Mane’s The State Vs. Radric Davis album reached blog sites, and as of today it’s proven to be false (well damn). The official track listing is here and it features appearances from Wayne, Rick Ross, Nicki Minaj, Cam’Ron, Jadakiss, Bun-B, Usher, Soulja Boy, and others; as well as comedy skits from Mike Epps. The album will still be released on December 8th, along with the Clipse’s Til The Casket Drops. Continue reading to peep the track listing. Brrr! Gucci Mane has built his buzz this year and he’s finally dropping his forthcoming album The State Vs. Radric Davis. The album will feature his current singles “Wasted” with Plies and the Usher assisted “Spotlight”. As far as guest appearances, Snoop, Soulja Boy, Mariah Carey, Rick Ross, Yung Joc and others. As far as production, Scott Storch, J.U.S.T.I.C.E. 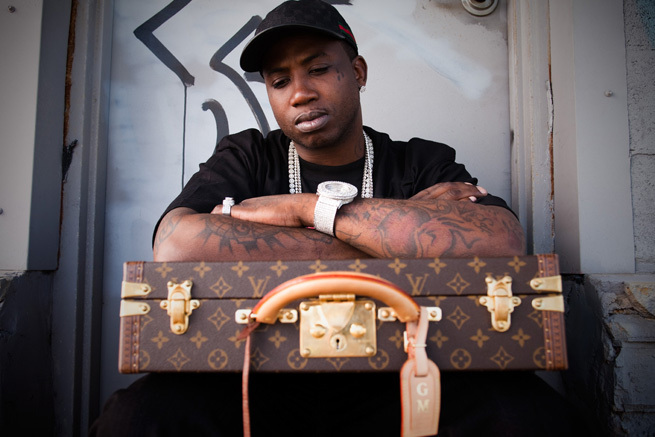 League, Tricky Stewart, The Runners, and more producers lend production for Gucci. 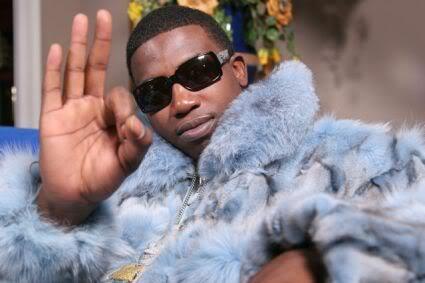 Gucci Mane’s album drops December 8th. Continue reading to peep the tracklisting and production credits.